Mitsubishi Motors Corporation and its auxiliary departments deal with passenger vehicles in what concerns their development and selling process. It also engages in the processes concerning automotive parts all around the world. The main activity of the company concerns passenger cars and the main aspects dealing with the business namely the manufacturing and the selling processes. Furthermore, numerous financial services are offered by the company and these services also include finance type of products. In what concerns the operation area of the company it has to be mentioned the fact that it engages in two major segments: Financial Services and Automobiles. One of the categories of products offered by the company is represented by the mini cars. Other categories include sports cars, standard sized type of vehicles as well as luxury cars and trucks. In 2005 the company launched six brand new models namely Eclipse, Triton, Sporty Sedan, Zinger and the Outlander SUV in various countries worldwide. In 2006 the company brought something innovative on the marketing considering the idea of creating a 2-liter diesel type of engine. 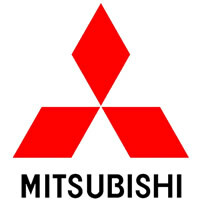 Mitsubishi Auto Credit Lease Corporation is the one dealing with leasing and financing operations within the company. In 2006 an important agreement was reached by Mitsubishi Corporation and Diamond Lease Co. as well as MMC. This agreement deals with the reorganization of the main MCL selling operations. North America is the main operative zone. Europe also represents an important market for the corporation and other markets where good financial results have been achieved are Australia and New Zealand. Nissan Motors Co is one of the well-known corporations to have created an alliance with the Mitsubishi Co. Also known from this point of view is PSA Peugeot Citroen. In 2007 another important joint venture was announced on the market namely the one including GSYusa Co. Mitsubishi Co and Motors Corp. The result of this venture was materialized in the selling process of Li-Ion batteries in the case of electric cars as well as other products and applications. The company resulting from the venture is known under the name of Lithium Energy Japan. Another important aspect to consider at this point is the way in which the development of charging type of stations was promoted in order to enable quicker recharging of electric batteries. In 2008, new versions of Pajero were released in China. In 2009, a basic contract was signed by Mitsubishi Motors Co and Peugeot Citroen dealing with the development of electric automobiles. An electric automobile was to be developed according to their agreement. The model on which this innovation were to be based was the Mitsubishi's Mievmodel, certainly consider under both brands. The production of small tracks was also considered the same year and was to be carried out in Russia. The foundation year for Mitsubishi Motors Corporation is 1970.